Rent a car online just about anywhere in the world with Hertz! Hertz has over 90 years experience in the car rental industry. Take advantage of the wide range of vehicles offered by Hertz and book your car rental in approximately 150 countries worldwide. Cashback will not be paid if a coupon code is used that is not listed on this site. You must book, complete, and pay for rentals in order to receive Cashback. 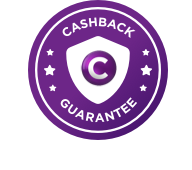 Cashback is based on time and base rate mileage only, not on taxes, fees or additional extras. Cashback may not be available until 90 days after completion of booking. Cashback will not be paid on net rate bookings, corporate negotiated rate bookings, government bookings, and travel industry discount bookings.